Banks have digitalized their services to offer the best experience to their clients. As a result, it is now of current use to check accounts and transfer money from mobile banking applications, arousing the interest of hackers to exploit the wide mobile attack surface. 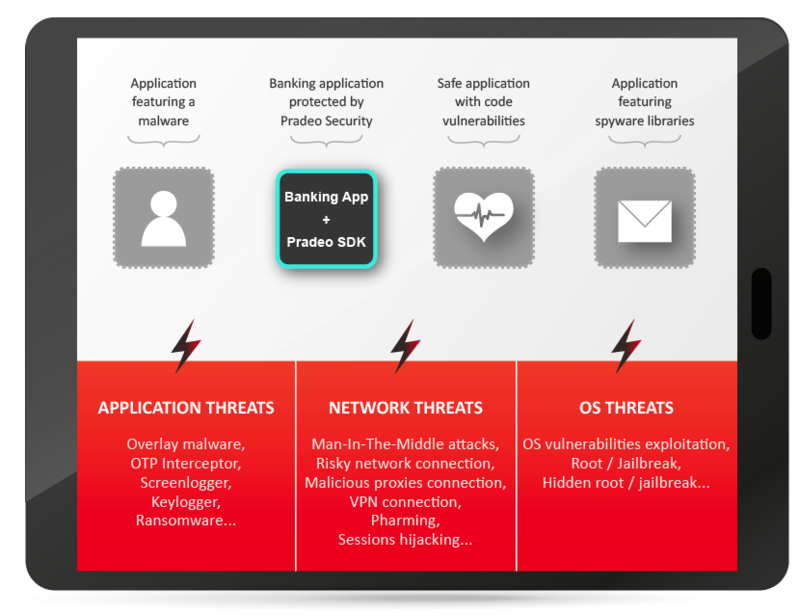 Facing this new vector of threats, the Bank to which this use case refers decided to ensure the security of its mobile banking application by leveraging Pradeo Security Runtime Application Self-Protection (RASP) solution. Mobile applications are the first media we use to access information from our smartphones and tablets. We easily trust them with sensitive data, but what do we know about their security levels? Organizations develop mobile applications at a fast pace to keep up with business needs and often leave aside security measures.